C3yoyodesign - Amazing Offstring Performance! 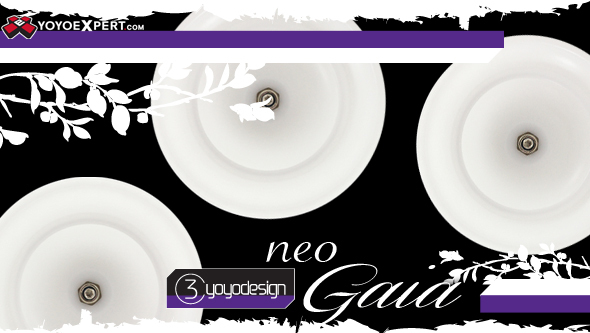 The second member of the new C3yoyodesign Neo offstring series is the all new Neo Gaia! Like the Neo Solar, The Neo Gaia is an amazing recreation of the original C3 offstring series. The new Neo Gaia is slightly sized down from the original but somehow seems to play just as good if not better! C3yoyodesign was able to redistribute the weight on the Gaia into the smaller frame of the Neo Gaia to give it even more of that fast and maneuverable play the Gaia was known for. The more angular shape and smaller profile makes the Neo Gaia play on the faster side as well so if you are into the quicker techy offstring play or need a yo-yo that can easily change planes then the Neo Gaia will be your new best friend! Pick up the new Neo Gaia and find out exactly what your offstring game has been missing! The Gaia comes with thin spacers installed and optional thicker spacers in the packaging. This gives you a few different options to adjust the gap width and customize the Neo Gaia to fit your personal preferences.